The development of autonomous vehicles promises a paradigm shift in the transport sector, predicting more comfortable, efficient and safer mobility, both for the transport of passengers and for the transportation of goods. However, it is expected that autonomous trucks appear earlier on the roads before autonomous taxis. Some companies such as Tesla, Volvo, Embark, Peterbilt, Tu Simple, Waymo, Daimler are already making significant progress in the creation of autonomous trucks destined for the transport of goods. 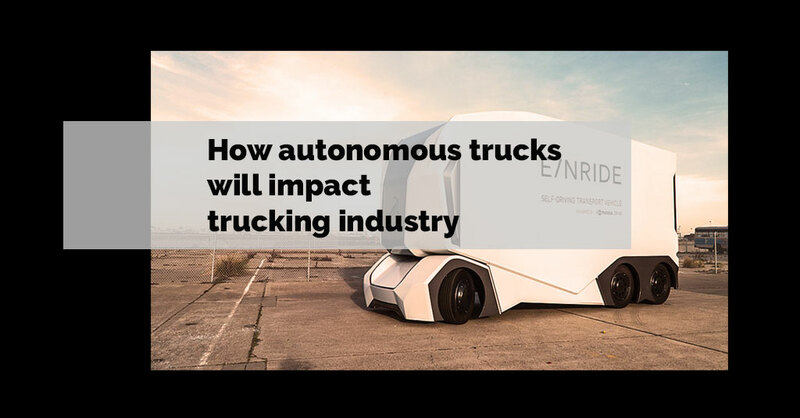 What are the effects of incorporating autonomous trucks in the freight industry? The most obvious assumption is that the use of autonomous trucks will help solve the problem that the freight transport industry has suffered for decades: the truck drivers shortage. The freight transport industry maintains a sustained growth, while the lack of drivers is a problem that is getting worse and worse. 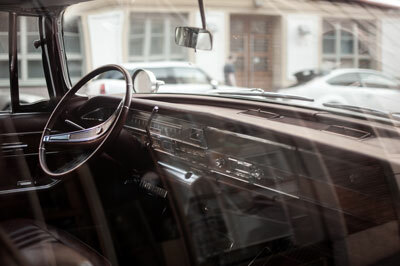 According to the American Truck Association, the industry currently has a shortage of around 50,000 drivers and this problem will be compounded when current drivers retire, so the number could reach 175,000 by 2024. Autonomous trucks could be the answer for this problem. Generally, three-quarters of the cost of transportation of goods comes from labor, with the use of autonomous trucks that cost would be eliminated. 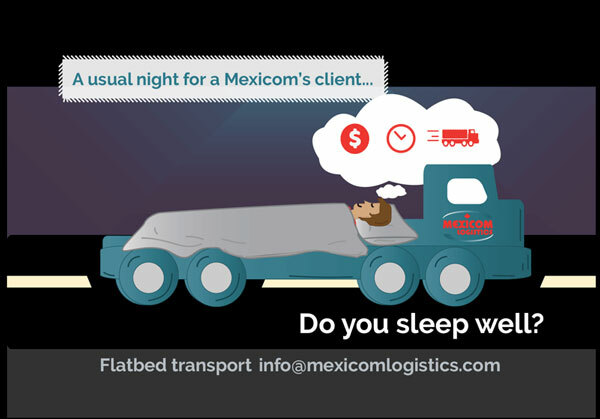 In addition, transit times would be reduced, since trucks could operate 24 hours a day, while drivers currently must follow the mandatory rest times. According to PwC Strategy and consultancy, the digitalization and automation of processes and delivery vehicles will reduce logistics costs for transport by 47% by 2030. 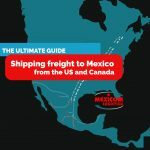 Read also: How to calculate the transit times from the United States or Canada to Mexico. Regarding safety, autonomous trucks would help to reduce the risk of accidents on the roads caused by fatigue of drivers. According to the Insurance Institute for Highway Safety (IIHS), a total of 4,102 people died in large truck crashes in 2017. 17% of these deaths were truck occupants, 68% were occupants of automobiles and other passenger vehicles, and 14% were pedestrians, cyclists or motorcyclists. The number of people killed in large truck crashes was 30 percent higher in 2017 than in 2009. Fatigue is related to 15% of all fatal crashes of a single vehicle. 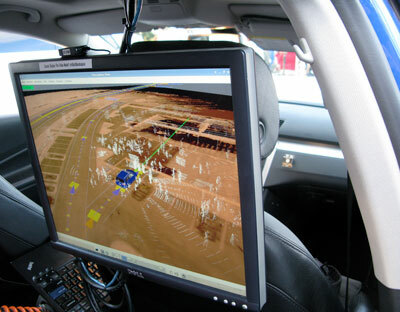 The technology has made great advances in recent years, autonomous vehicles combine a series of sensors such as radars, artificial vision, GPS, odometers, surround sound cameras, among others, to be able to perceive objects around it, perform automatic braking, stay in the lanes, etc. However, the option that trucks can be driven without the intervention of a human being is not available until now, not only because of the technological aspect but also because of the social perception of safety and the lack of regulatory frameworks that respond to the new reality. So far autonomous trucks have been thought more like assisted trucks, in which the presence of a driver is still contemplated. Consequently, not all truck drivers would disappear, but many would simply change roles and responsibilities, implying that those drivers should develop new skills and abilities. Another aspect that still requires work is the lack of a regulatory framework in case of accidents, a law is required to answer satisfactorily to the question of Who will be responsible in case an autonomous truck has an accident? “lawmakers haven’t tried to make the law inclusive of autonomous technology companies. A bill currently pending in Congress called the AV Start Act, would not allow people who are badly injured while riding a self-driving car to sue the maker of the technology or take part in a class action lawsuit ” explains Business Insider. Finally, there is the factor of the social perception of security. We are entering a new digital era that involves technologies little known or fully understood by all, concepts such as Machine Learning or Artificial Intelligence are still related to something futuristic or science fiction. To imagine driving on a road next to a 53Ft Dry Van without a driver is still an idea that can cause fear or anxiety for many drivers. One of the great challenges for the implementation of these technologies will be social acceptance. Autonomous trucks will undoubtedly bring positive changes for the freight industry, however, they will also represent new challenges. The ability to adapt and the ease to adopt the necessary digital maturity to incorporate nuew technologies into the business models will be key. MEXICO, THE USA, AND CANADA.